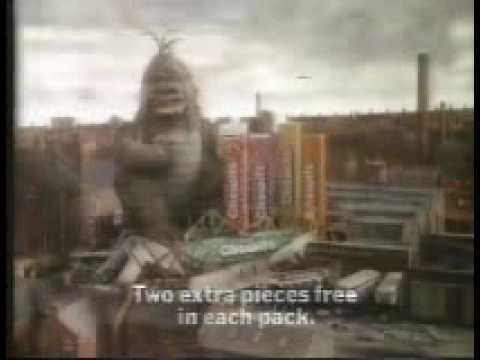 Chewits Advert - Do You Remember? "A mans gotta chew.." was the Texan bar advert. 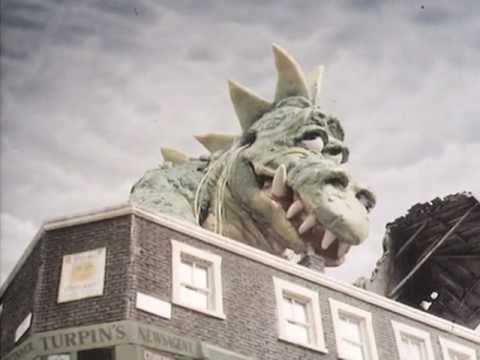 Chewits had a plasticine Godzilla rip-off. The advert began with a couple of lab-coated scientists watching the monster on a monitor. The guy says "Someone's got to stop it!" and heads for the door. The woman looks aghast and says "Come back, Chuck, come back!". 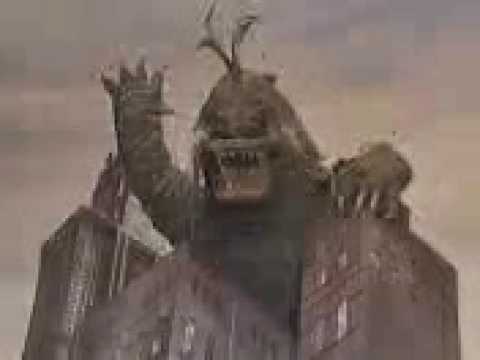 The man drives a truck load of Chewits up to the monster and then runs off. The monster reaches down and takes a bite of the truck. Then he looks at the handful of building he's holding, goes "Yuck" and throws it over his shoulder. He wanders off eating the lorry load of Chewits as a voice says, "Chewits! Chewier than Barrow-in-Furness bus depot!" Do You Remember Chewits Advert? An early Chewitts ad (when they first came out) had a bunch of oldsters with no teeth trying to chew them to varying effects. Not sure what they were trying to say having a sweet advert with people who had lost all their teeth. Gillmore, all you gotta do is chew was from the fruit pastilles advert. The chewits advert slogan was even chewier than barrow in furness bus depot. Any idea what the advert was that had the slogan "all you gotta do is chew"? I thought it was chewits but can't find any trace of it.